A little late, I know, but I still want to wish everyone the very best for 2010! I hope this year will be filled with fun and interesting events for all of us. When reading other blogs, it seems like if I want to be a real blogger, I should list some plans for this year. Probably because we, in the age of TV series, like the format of “To Be Continued…” The list tickles the interest of the readers and gives them something to look forward to. The only problem is that if I put my plans in writing here, I have to follow up on it. So I think I will keep them to myself. The only thing that I can say for now is that there will be quite a lot of studying and classes for me this year, in all my favorite topics. And hopefully a bit more writing. Anyway, when looking back at last year, it seemed a bit uneventful at times and I often felt like the life I had so desperately tryied to avoid was catching up with me. But I also got to know wonderful, lovely Martin, I travelled a bit and became more familiar with a number of countries, and on one occasion, I found myself in the middle of an old dream: When I studies Political Science at Stockholm University, there was a girl named Pakeezah in my class. We both (as many others in our class) dreamed of one day working for the UN and we agreed that at the age of 40, we would meet at a cocktail party in the UN building in NY (we thought it would require quite a bit of work experience to get a job in one of these international organizations…). 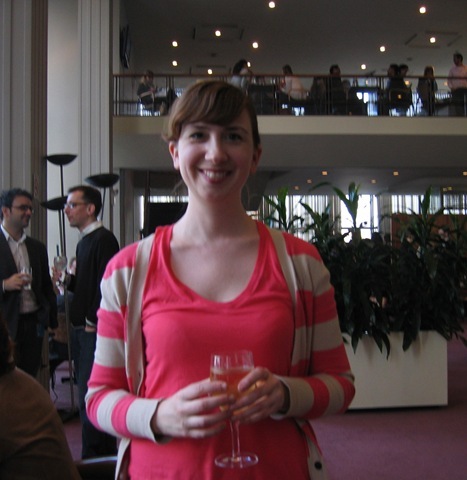 When I was in NY in March last year, I went with Jenny K (who was in NY for training at the UN) to Friday drinks in the Delegates’ Lounge in the UN building. And when I was standing there, looking out over the East River and the Queensboro Bridge with a glass of wine in my hand, I thought of Pakeezah’s and my goal and realized that I was there. And though of course not so impressive to anyone else, it felt great for me!